RCON LOCK provides security features to stop ANYBODY changing your rcon password. 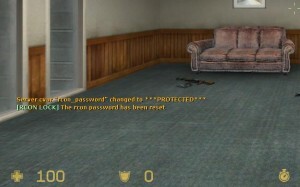 It cannot be unloaded, and will make sure 100% that your RCON_PASSWORD is never changed. The mod checks every 60 second, player discconect, player text !players - the number of players on the server and when there is none players the pass is removed!